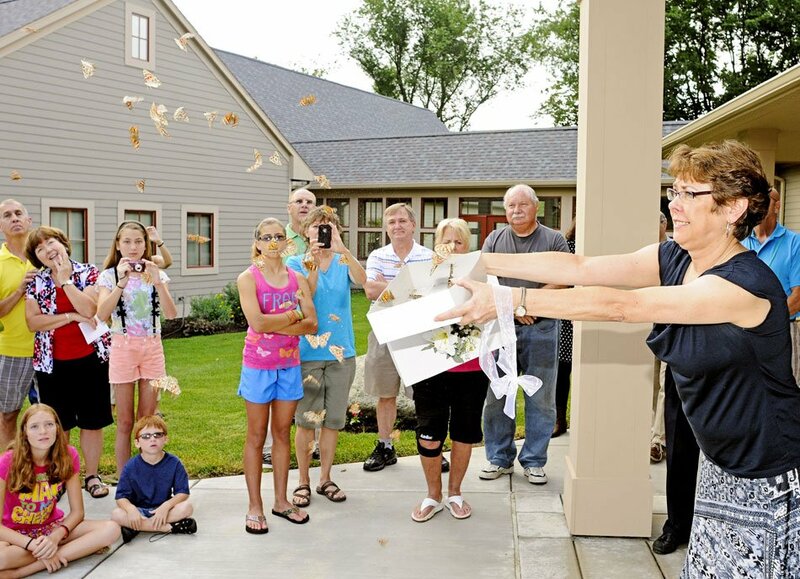 Hospice of Lenawee provides compassionate, patient and family-centered care to the people of our community during and after the last season of life. Our Hospice Home is the right choice for a hospice patient when short-term care is required to manage acute pain or other symptoms caused by their terminal illness. "Knowing that we were getting the best care possible took such a large piece of stress out of our lives." "It is a special calling to work in a Hospice unit...you touched all our lives... you truly make a difference in this world." "We offer our care to... anyone in the community who would like to receive some support." We are the only Non-Profit Hospice in Lenawee County that has an eight-bed in-patient Hospice facility specializing in end-of-life care. We service only Lenawee County area, therefore we are able to give more personalized attention and faster response time for on-call emergencies. We offer Bereavement services to anyone in our community that has suffered a loss at no charge. We have the only Board Certified Hospice & Palliative Care Medical Director providing end-of-life care in our community. By making a gift to Hospice of Lenawee, you are supporting a mission like no other. There are many reasons to give and many ways to make your gift. Learn more about what your donation means to providing the best possible care to our patients and their families. Volunteers are essential members of our team and help us to fulfill our mission. There are many different volunteer opportunities and we're sure to have something for everyone. Learn more about making a difference with Hospice of Lenawee today! Hospice of Lenawee produces audio messages for our community. Please listen to our messages to learn about important updates, events, and the latest news. "Throwdown for Hospice of Lenawee"
Join Hospice of Lenawee & our Lead Sponsor, Kapnick Insurance Group for an evening of food, fun, entertainment, and your opportunity to "Throwdown for Hospice of Lenawee!" All proceeds benefit the Hospice Heart Endowment fund. $50 per person (Cash bar) Reserve your table for 10 to sit with family & friends. Hospice Heart Endowment. In comments - note "Throwdown for Hospice of Lenawee." Lace up your shoes, go for a Run or Walk and follow it up with an all-you-can-eat pancake breakfast. All proceeds to support our community grief and loss services through the Kathy Goetz Endowment. Mark your calendars - more information to come! Get ready to hop on your bike or jump in your convertible to support Hospice of Lenawee in our annual Ride for Hospice! Doesn't matter the transportation you take - but the support you give! All proceeds will benefit Hospice of Lenawee's charity care through the Hospice Heart Endowment Fund! Make plans now to join us in September. Stay tuned for upcoming details! In fact, each time you give to Hospice of Lenawee, you're supporting your community as well as Hospice.